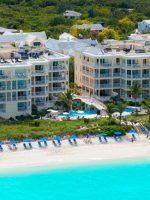 Located in the Turks and Caicos Islands, Providenciales offers beautiful beaches and spectacular barrier reef, while Alexandra offers studio-, one-, two- and four-bedroom accommodations, each with its own washer and dryer. 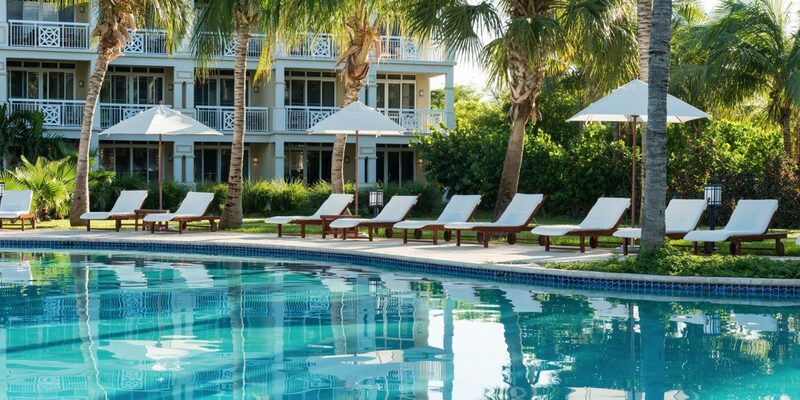 Your family will never go hungry with Alexandra’s beachfront restaurants, The Orchid and the Sunset Dining Deck, and the resort’s activities coordinator can plan things to do for adults, teens and children. 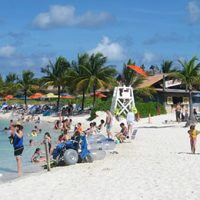 The Caicos Dream Tours desk can plan snorkeling adventures, and full- and half-day tours to area cays and Iguana Island. The resort also offers a Family Fun Program for children ages 4 and up. 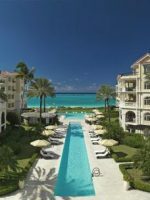 Kids will enjoy playing games like water balloon toss and building sandcastles in the white Caribbean sand on Grace Bay Beach. Great resort in beautiful location. First, about the location. 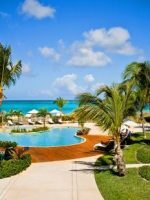 Grace bay is consistently ranked among the top-10 beaches in the world. 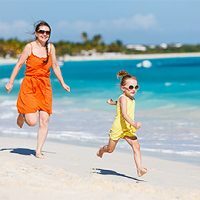 The ranking is well-deserved as the long white sand beach and crystal-clear water are the poster of what we all imagine a Caribbean beach should be. The resort. 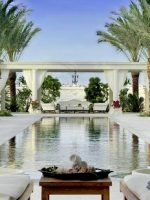 I have found during my various vacation experiences throughout the Caribbean that the resort staff can really help to make a "good" vacation a "great" vacation. Often, I can tell before I even check-in what I can expect from the staff. And so it was with the Alexandra resort staff. Before arrival I had corresponded via email with Phillipa in guest relations concerning my dietary needs (gluten free). I knew from Phillipa's friendly response that I could expect the same attitude from the rest of the staff and was not disappointed. Upon check-in, Leona welcomed us and saw to it that we were immediately provided with a cold Rum punch. Each staff member similarly impressed by treating us as a valued guest. Every morning we were met with a friendly greeting and bright smile by the Asu' buffet hostess Jessica. Our server, Renette was always attentive. There were other staff members who helped make our vacation memorable such as Damian (one of the two chefs I spoke to who, regardless of how busy they were, always took time to discuss my dietary restrictions personally with me). Shantelle (Barbie) was one of the entertainers on site who (along with her colleague Romaine “Lettuce”) also served as a roving goodwill ambassador who would strike up a conversation which made us feel as if we were home among friends. Unfortunately, I did not note all of the names of all of the staff members whose friendliness impressed us during our stay (hostess at the Sole’ beach deck for instance). The resort in general impressed us as well. There was some construction going on but the resort is very well-maintained, attractive and clean. 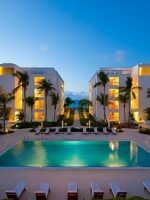 Our two-bedroom beachfront suite was among the most spacious accommodations we have ever enjoyed in the Caribbean. The pool, while not huge, was inviting and fun with the swim-up bar. Little touches say a lot. The room refrigerator stocked daily with soft drinks, beer and bottled water. Lots of similar little touches throughout the resort added to the enjoyment of our stay. In addition to the various bars (great drinks!) there were walk-up counters for jerk chicken and another for pizza and another for soft-serve ice cream. A perk that we really appreciated was the opportunity to visit the sister resort The Beach House (adults only). We had walked the mile or so down the beach to snorkel at the protected reef adjacent to the Beach House property. There, we met Sam who helped to oversee beach activities. As with the staff at The Alexandra, Sam was full of personality and treated us warmly as if we were guests at the Beach House (if you go, be sure to say hello to Toby the Beach House beach dog/greeter). We returned later that evening and enjoyed an excellent dinner at the Kitchen 218 restaurant. Anderson, our server, was knowledgeable regarding the menu and very attentive. In general, dinner at the restaurants (Sole and The Fish Deck) at The Alexandra were good and menu selection was varied enough. Special events (such as the Brazilian-themed night at Sole and the Caribbean themed cookout by the pool were very good). In summary? 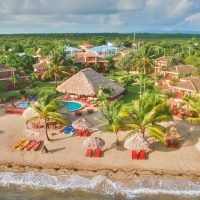 Between the beautiful beach and resort, good food and drink, nice pool and nightly entertainment (including the band Pozitive Vybrationz; or Karaoke or DJ) there was seemingly always something to experience and enjoy at The Alexandra. We look forward to returning there.